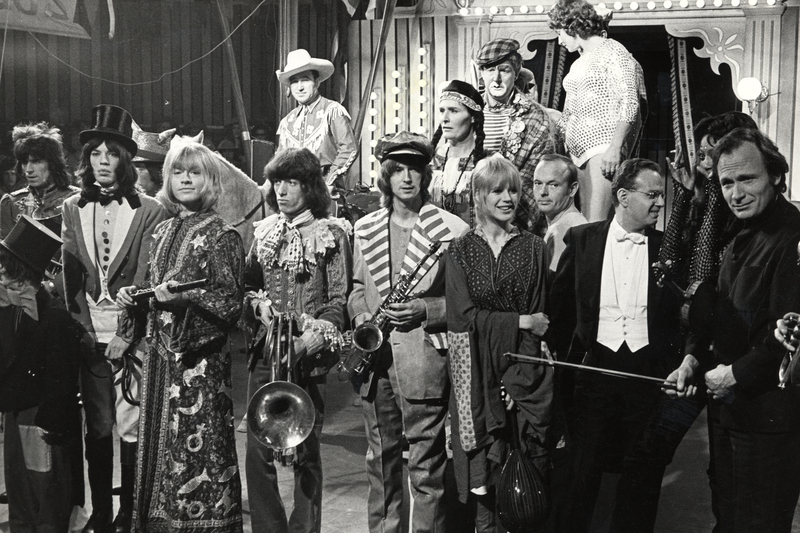 The Rolling Stones Rock and Roll Circus is the legendary concert extravaganza that marked the last performance of the original line-up of “The World’s Greatest Rock and Roll Band”: Mick Jagger, Keith Richards, Brian Jones, Bill Wyman, and Charlie Watts. 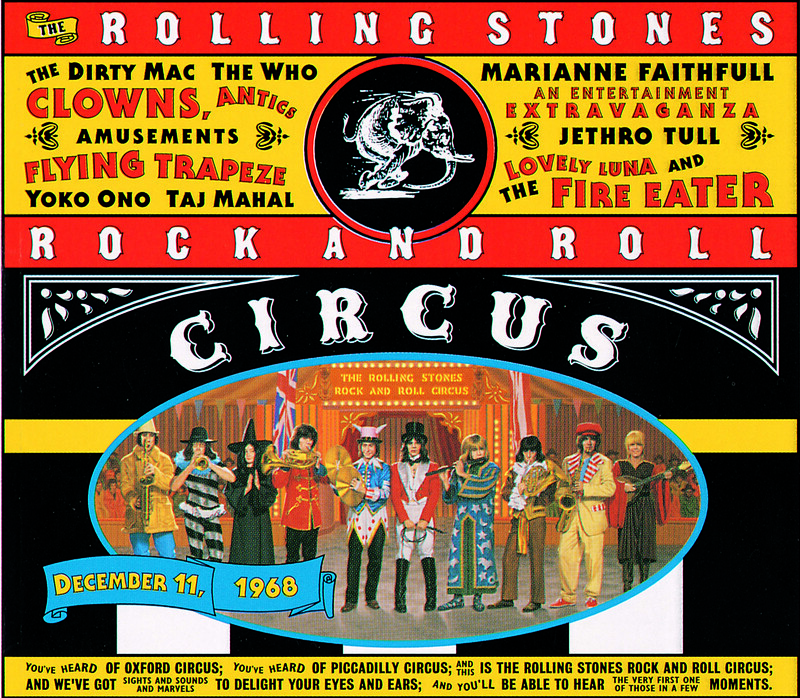 Under the big-top and dressed in outrageous circus garb, The Rolling Stones are joined by an all-star musical cast: Jethro Tull, The Who, Marianne Faithfull, Taj Mahal, Yoko Ono, and the ad-hoc, one-time only supergroup “The Dirty Mac” featuring John Lennon (guitar/vocals), Keith Richards (bass), Eric Clapton (guitar), fresh from his break-up with Cream, and Mitch Mitchell (drums) of The Jimi Hendrix Experience. First broadcast in 2007, the concert is back on public television stations beginning Tuesday, February 26, 2013 (check local listings) and is distributed nationwide by WLIW21 in association with WNET. In the New York metro area, it will air Wednesday, March 6 at 7:30 p.m. on WLIW21. With Mick Jagger as the show’s literal ringmaster, the unscripted, unapologetic mayhem yielded timeless musical moments, including the first-ever performance of Stones classic-to-be “You Can’t Always Get What You Want;” John Lennon’s first concert before an audience outside The Beatles; the only existing footage of Black Sabbath guitarist Tony Iommi’s short stint with Jethro Tull; The Who’s standout “A Quick One While He’s Away;” and The Dirty Mac’s rendition of The Beatles’ “Yer Blues.” The public television broadcast includes a 2004 interview with The Who’s Pete Townshend about the historical gathering. 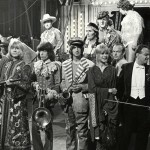 Filmed December 11-12, 1968 and directed by Michael Lindsay-Hogg, the pioneering music video director behind The Beatles’ Let It Be and many of the Rolling Stones’ seminal video clips, The Rolling Stones Rock and Roll Circus was planned as a BBC special to promote the newly released Beggars Banquet but never aired. In fact, the footage, shot by award-winning cinematographer Tony Richmond (The Kids are Alright, The Man Who Fell to Earth), was lost for many years. Finally, in 1989, it was discovered in a trash bin at The Who’s vault in London. The film has been lovingly restored to preserve this unprecedented, one-of-a-kind event. 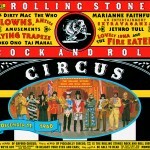 The Rolling Stones: Rock and Roll Circus is an ABKCO Film. A presentation of WLIW21 in association with WNET. John Servidio is executive in charge of production for WLIW21 in association with WNET.